Epcot is one of my favorite parks at Walt Disney World. I never get tired of seeing Spaceship Earth, or watching the dancing Fountain of Nations in Future World, or doing a little shopping in World Showcase; but what I’ve recently discovered is that the Epcot that I know isn’t exactly what Walt Disney had in mind when planning Disney World. You see, back in the 1960s when Disney World was being planned, the Magic Kingdom wasn’t what Walt was most excited about. In fact, when Walt introduced television viewers to his plans for Florida, he said that EPCOT would be the “heart of everything we will be doing at Disney World.” Walt also said that it wouldn’t be a park at all, but rather a community of the future where you could live! So what was the Epcot supposed to be like? What happened along the way? Well, keep reading because for today, I’m here to tell you all about The Epcot That Never Was. One of Walt’s many interests was city planning and finding solutions to the everyday problems of the cities of the day, such as traffic, slums, pollution, and crowded conditions. He had learned a lot about planning, building, and construction when creating Disneyland, and he now felt that he could provide some solutions to the problems he saw in the real world in the form of a working community called EPCOT. EPCOT stood for Experimental Prototype Community of Tomorrow, and it would be an example to the country and the world for how to build and run better cities. It would also serve as a sort of testing ground for new technology, products, materials, and ideas from America’s industries and corporations that would serve to improve our lives. EPCOT wasn’t just some idea or possible plan for the distant future of Disney World. Walt fully intended to build it, had many plans and diagrams, and intended it to be the focus of his Disney World on the East Coast where 20,000 residents would live and work. Pretty cool, huh? Just like Disneyland, Walt had a special layout in mind for EPCOT. 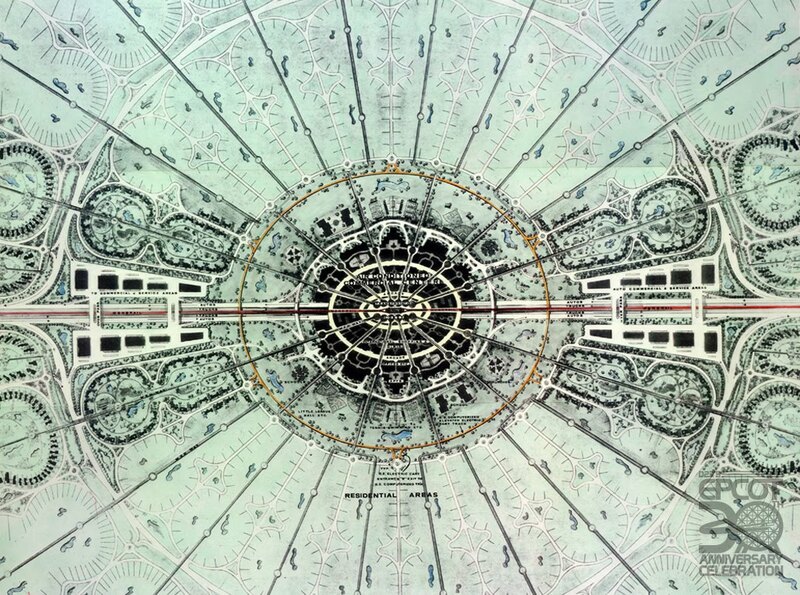 He called it the Radial Plan where rings of activity would radiate outward from a central hub. Those four rings included sections for business and commerce, apartment housing, the Greenbelt, and neighborhood and residential areas. The heart of EPCOT would be the central hub with a glittering hotel and convention center rising from the center; people coming to visit EPCOT and Disney World would stay here. The area surrounding the hotel would be the equivalent of fifty acres and home to restaurants, theaters, international shopping experiences, and office buildings and places of businesses either for EPCOT or other corporations. What’s really cool is that this entire area would be enclosed, so weather and extreme temperatures would never be an issue! Lastly, EPCOT residents could live in the apartment complexes that would stand on the outskirts of the Central Hub. The next section of EPCOT would’ve been true to its name as it would be green with lawns, trees, and places of recreation like baseball fields and tennis courts. Schools and churches would also be built here. The Greenbelt would serve as a space where families could relax and play, and as a welcome respite from the hustle and bustle of the Central Hub. In addition to apartment complexes near the Central Hub, EPCOT would have residential neighborhoods just outside of the Greenbelt where families could live. These neighborhoods would offer single family homes, with areas where residents would enjoy playgrounds, biking, and safe walking paths to and from the Greenbelt and its schools. Convenient transportation stations would be found here too, so when residents came home from work or from shopping, they would only be a few feet from their front doors. Walt believed that transportation was one of the biggest problems with the cities of the day and he had a few ideas for new ways to move people around, as well as new ways to reorganize current transportation. The plans for EPCOT show that residents would move around the city in two main ways: Monorails and PeopleMovers. A Monorail was a smooth, single-rail train, inspired by trains of the same kind that Walt had discovered in Germany. Monorails had already been implemented into Disneyland in California, but Walt planned to use them on a much bigger scale at Disney World. Meanwhile, PeopleMovers were swift, continuous moving trams. Both forms of transportation would be run by electricity and elevated, eliminating pollution, dependence on fuels, and the problems with roads, highways, and traffic. 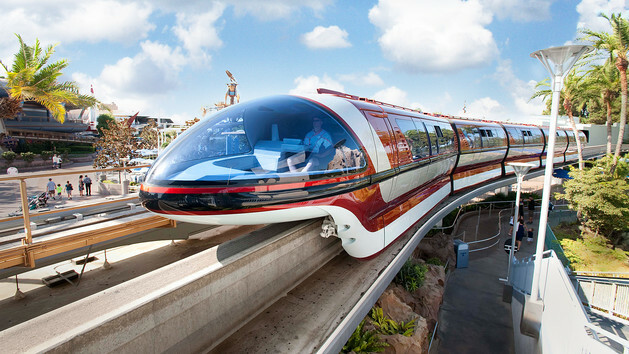 The Monorail would be used for long distance travel, such as if an EPCOT resident needed to get to work at the Magic Kingdom. PeopleMovers, however, would transport people to and from the city center and back home to the residential neighborhoods at conveniently located stations. My favorite thing about PeopleMovers is that they never stop moving, meaning that traffic jams and delays would be a thing of the past when commuting to work! EPCOT residents could still own cars and drive them where they needed to go, but roads were kept separate and reserved from the walking paths. They would have circled around the city center before connecting to other roadways in Disney World and Florida. At the Central Hub, Walt planned for a transportation lobby where all of the transportation would organized into levels. The top level would be reserved for the Monorails and PeopleMovers, while the second level was for cars. This level would be underground as there was to be no roads or cars in the Central Hub. This level would be designed so that stoplights wouldn’t be needed in order to keep the flow of traffic steady. The final, bottom layer would be reserved for trucks and shipping with easy access to loading docks, away and out of sight of pedestrians. As I’ve said, EPCOT’s plans allowed for 20,000 residents. All would be employed, but no one could own property. Also, their housing would serve as somewhat of a testing ground for new products and appliances. Walt planned for many of EPCOT’s residents to work at EPCOT, the Magic Kingdom, other parts of Disney World, or the different businesses and corporations that would be working within EPCOT. So what happened? Like I said, while the Epcot of today is great, but it’s certainly not a place where you can live, and it resembles little of Walt’s vision and plans. How then did this grand vision for a community of the future become a park? In 1966, Walt became very sick. Even so, he still had EPCOT on his mind. It’s been said that he was even planning the city on the ceiling tiles above his hospital bed. Sadly, he died on December 15, 1966, just a few weeks after completing the film where he introduced and explained his Florida Project and EPCOT to audiences. His death was a shock not only to the world, but to the Imagineers as well. Very few individuals knew how sick he truly was; and so, there was a quite a bit of uncertainty over how the Disney Company would fare without Walt at the helm. It was decided that the work and plans for Magic Kingdom would continue in Florida, but Imagineers were hesitant about moving forward on Walt’s ambitious plans for EPCOT without Walt–and so EPCOT was placed on the shelf for a time. The plans for EPCOT were revisited some years later, but no longer as a city. Instead, it was decided that EPCOT would be a park. It was much less risky than attempting to create a city; but even as a park, it was still somewhat of a risk as it would be the first park not based on the original design and plans for Disneyland. The EPCOT park would be called EPCOT Center and would be a sort of permanent World’s Fair where new technology and visions for the future would be displayed in Future World and culture and products from around the world could be experienced at the World Showcase. The park was called EPCOT Center and opened on October 1, 1982, but has been known simply as Epcot since 1994. On May 22nd, Disney’s new film, Tomorrowland, will arrive in theaters. While the trailers for this film look awesome, those intrigued with Disney history are especially interested as this film. 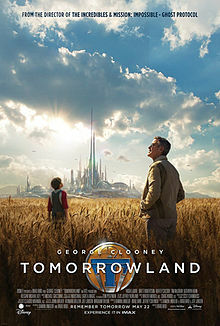 First of all, the film bears the same name as the Tomorrowland sections of the Disneyland and Magic Kingdom parks, and because it tells the story of a future that never was, much like how EPCOT was a community of the future that never was. Even though Walt’s EPCOT was fully never realized, I wouldn’t say that it’s completely gone. The idea of a city of the future has inspired a new film after all. Also, Imagineers have implemented some of EPCOT’s ideas in the Disney Parks; and, in Tomorrowland at Disney World, guests can still experience a ride aboard the PeopleMover and a get a glimpse at one of the original models for EPCOT. Still, I wish Walt would have lived long enough to create his EPCOT. Not only do I think it would’ve been incredible to be one of those 20,000 residents, I also wonder how much different our world would be now with an example and testing ground like Walt’s EPCOT. What do you think? Do you think the world would be different had EPCOT happened? Would you have wanted to live there? I wrote an essay on ‘Beauty’ when studying for my masters in design. The topic I wrote about was the layout of EPCOT in comparison to Le Corbusier’s idea of this hub and spoke, pros and cons etc. The philosophy lecturer was beside himself when I pitched the idea in class. He said had never come across anybody doing this before. Yes, I got a good grade! Must see if I can dig it out and re read it sometime. I was definitely moved by this article, also one of my favorite rides of all times is the People Mover. I think urban planners, engineers, and architects could and should learn a lot about Walt’s vision. It should be mandatory lecture on several college majors. The people mover was not such a great concept for a city like atmosphere: imagine standing at a station watching and waiting for a car to open up. Then trying to quickly react when you see one, only to be out maneuvered by another person behind you. Just because we’d have better tools at our disposal doesn’t mean people won’t still try to take advantage. That’s not really how people movers work. In the manner Walt envisioned EpCot working, there wouldn’t have been any “mad rush”. It’s not like a subway system in any way. I thought that the town of Celebration,FL was created/developed by Disney to achieve some elements of the original vision for EPCOT? Celebration is on the land on which Walt wanted to build EPCOT, certainly. It’s not laid out anything like Walt’s EPCOT, however. Great article. As a kid I was fascinated by two things – the Space Shuttle program and EPCOT. EPCOT opened when I was 12 and I still enjoy reading about it’s history, how it was built and how it’s changed over the years. I would highly recommend Sam Genneway’s book, “Walt Disney and the Promise of Progress City” for a VERY detailed look at the origins of Walt’s dream city and how we wound up with the current (1982) EPCOT Center. Thanks Savannah! It would have been an incredibly tough sell, even for Walt. Residents would have no real voting rights in the local government; they’d be true tenants – promotional materials even mentioned that residents would come home to find new appliances installed if GE wanted to test a new product line. Moreover, he’d need to convince corporations to conduct R&D and manufacturing in view of tourists. Considering how secretive most corporations are, he would have had a hard time getting enough partners on. Maybe Walt could have done it if he lived for a few more decades. But I could also see it being an enormous strain on the company, maybe even leading to Walt getting kicked out of his own company, like Steve Jobs at Apple in the 1980s. Sam Gennawey’s “Walt and the Promise of Progress City” is worth the time to read it if you’re interested in EPCOT. About the same time, the Soviet Union was building similar “cities of tomorrow” in it’s puppet states of Eastern Europe. I toured one outside of Krakow Poland a few year ago. This one centered around the new featured industry of steal works, with apartments and parks jutting out radially. Just as EPCOT would have shown off American values, these cities were meant to show off Soviet communist values. Seeing the decay these model cities are in now, leads me to believe Epcot as Walt designed it would have failed. Industries change over time, people’s desires on how they live change over time, transportation methods change over time. Fixed model communities are unable to adapt like other cities might organically.